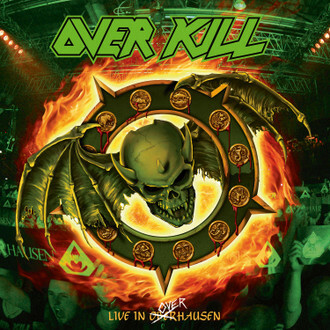 OVERKILL - LIVE IN OVERHAUSEN | Releases | Wizard LTD.
Three and a half decades later and New Jersey thrash masters OVERKILL remain steadfast in their ability to char your soul and thoroughly ravage your ears. With 19 full length studio albums and with their last live album being released in 2002, the guys return with their latest energy filled recording: »Live In Overhausen«! For over 36 years, OVERKILL has dominated and with the coinciding 30 year anniversary of »Feel The Fire« and the 25th birthday of »Horrorscope« the time to play and record both albums live, seemed inevitable.